Pet parents, do you need a last-minute Halloween costume for your four-legged friend? Stop by Dollar Tree on your way home today and pick up a few $1 supplies to make a budget-friendly and creative costume for your pet. 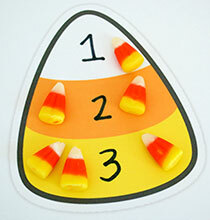 Check out these three adorable ideas to spark some inspiration! 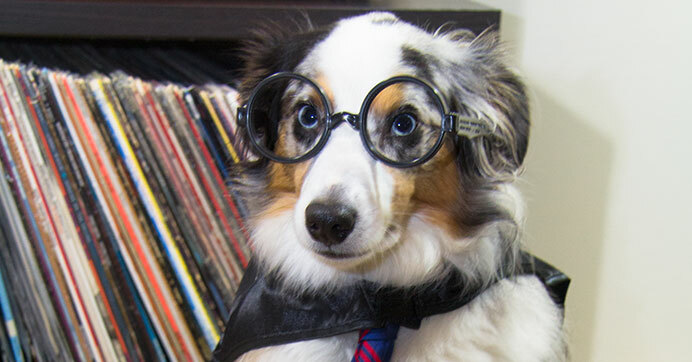 Turn your pet into a magical wizard for just a few bucks. All you need is a black hero cape and funny face glasses from Dollar Tree. Add a striped necktie to complete the look. 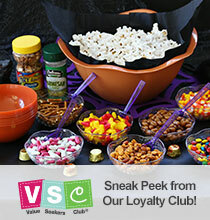 Want to be the hit of Halloween? Grab two of everything and dress up with your dog! Is your pet the hero of your household? Adorn him or her with a blue hero cape from Dollar Tree (you’ll find it in the kids’ dress-up accessories aisle!). 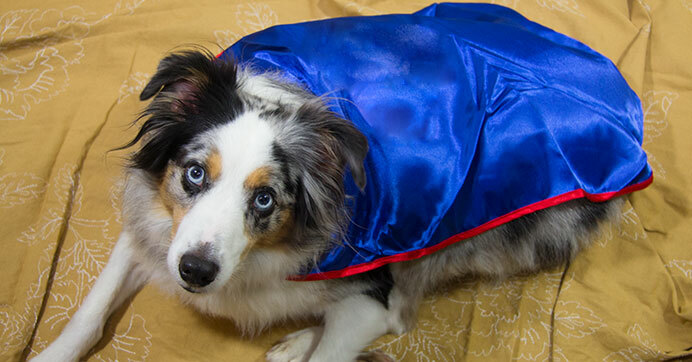 Print and cut out a large superhero symbol of your choice and glue the symbol to the center of the cape for an easy costume for your super pet! All you need is a brown marker or paint, an oval foil roaster pan, and deco mesh or ribbon. 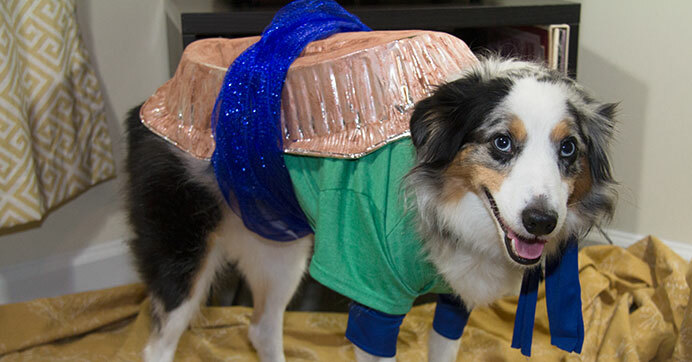 Dress your pet in a green t-shirt, and paint or color your foil pan brown to create the turtle shell. 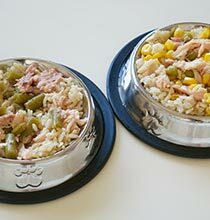 Tie the pan around your pet’s waist using deco mesh, then tie coordinating ribbon around your pet’s neck and legs for the final touch.